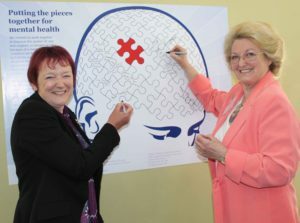 We said to Commissioners that service users, carers and all staff from supported housing providers and other professionals must be involved in contributing their expert knowledge and skills to inform the future commissioning of mental health supported housing. 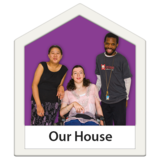 We have initially involved a small group of service users, carers and professionals to discuss the issues and support needs for people living in supported housing. We have drawn up recommendations for Commissioners to take into account when planning the retender of supported housing care in Suffolk. We have also mapped out an involvement process that will enable a wide range of events to deliver co-production for this tender process. We met with Commissioners on 24th May 2016 to move this project forward. This retender process will begin late Spring 2016 with the new service being delivered from 1st April 2017. That there is an appropriate place for a person experiencing a mental health crisis to go to, whether or not they are under the influence of alcohol or drugs, which is not part of the main Accident & Emergency (A & E) area, unless A & E care is required and which is not a police cell. Psychiatric Liaison support in all A & E departments that can respond to a person in crisis within an hour of arrival. That there is a dedicated Suffolk Wide mental health crisis line/111/999 line – for people in mental health crisis to call, knowing it will be answered by somebody appropriately trained and skilled, ready and willing to listen. These 3 priorities have been included in the Suffolk 5 year Mental Health Strategy. Since 1st May 2016 they are now the top priorities for the Suffolk Mental Health Crisis Care Concordat. The Crisis Care Concordat Implementation Group and SUF will ensure that regular feedback is given to SUF members and supporters reporting on the progress made to achieve these targets. Over the last year SUF members have been saying that they do not understand their legal rights when receiving mental health care; did not know that they had choices or even basic fundamental human rights. Patients who had been detained under Section of the Mental Health Act 2007, also did not understand the rights they had whilst being on a section. Through newsletter articles SUF has begun to inform our members and supporters about our human and legal rights. At the same time SUF has been talking about these concerns with Norfolk and Suffolk Foundation Trust, at their law forum and to Suffolk County Council, Customer Rights team, who fund mental health advocacy. 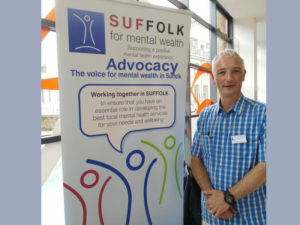 Together with VoiceAbility, SUF has from April 2016, piloted a new way of offering information about rights and choices, to support great advocacy for mental health in Suffolk. The SUF Mental Health Advocate is holding regular inpatient/ward based ‘drop in’ sessions providing information and referral to the professional Independent Mental Health Advocate (IMHA) where appropriate. Read more about the advocacy project. I have vascular dementia; I was given my diagnosis by a Doctor over the phone. I have not been offered any support or had any follow up appointment. I don’t really know much about it really, or what it means for me. I was given my diagnosis by my GP. I wasn’t really given any information and my GP was not really aware of what support is available. I care for my husband with dementia; our GP said that his mental health problems were part of this condition. I asked for more help but our GP said that any referral for support would not be beneficial. I was signposted to the Suffolk wellbeing service for advice, but they could not really help me. The synergy cafés have been a life line for us. There was no information about what Dementia really is or what to expect at the time of my diagnosis. My wife was given medication when she was diagnosed with dementia, but we have not been given any follow up appointments to see if it’s the right dose, or to discuss how things are going. I have had no support at all. I was diagnosed with dementia and sunk into a really deep depression. Being part of the Synergy Café in Felixstowe has helped me enormously and has given me a sense of purpose again. Its helped life my depression. I really value the Synergy café in Hadleigh, but I am worried. I was in another group before that closed down due to funding cuts. I am so worried about losing this group too. I did not get any information or signposting when my GP gave me my diagnosis, no information at all. I then received really mixed and conflicting information from different organisations and was finally helped by Suffolk family Carers. In an ideal world one would get a diagnosis and then go to a one stop shop for support and information. I felt let down all along the line after my husband was diagnosed with dementia. I felt there were hurdles put in the way that needed getting over. Misinformation about benefits, which for me resulted in us not getting what we were entitled for 2 years. It’s really difficult, especially as a carer. I broke my ankle and I just could not cope. I could not care for my husband for 3 weeks when I was in plaster. Because we have savings, I could not get any support and had to pay for my husband to stay at a care home for 3 weeks. There is very little support or funding for someone with savings. The synergy café is a life line. It reduces isolation and is a great source for reliable information. I have spoken to other people and can see that diagnosis and support just varies so much across the County. It’s just not consistent at all. A post code lottery. We said SUF would provide more information about support in Suffolk, with updates on Dementia & Human Rights. 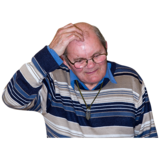 SUF wrote and provided the following two handouts on dementia and Human Rights, circulating helpful information and addressing some peoples concerns about human rights and mental capacity.